With terms like workcation trending lately, it’s becoming increasingly obvious that modern parents mix work and play and family pretty seamlessly. Or, try to. In fact, Liz and Kristen were just talking on a recent episode of their Spawned podcast about how their smartphones allow them take their kids to the park more (seriously, listen to it) instead of being tethered to a computer during the day. As we adapt to more mobile, tech-integrated lives, more of our readers write us asking for great-looking cases and accessories to protect their devices and now we’ve got one more for you. We see a whole lot of bags, and honestly, most of them don’t meet our standards. 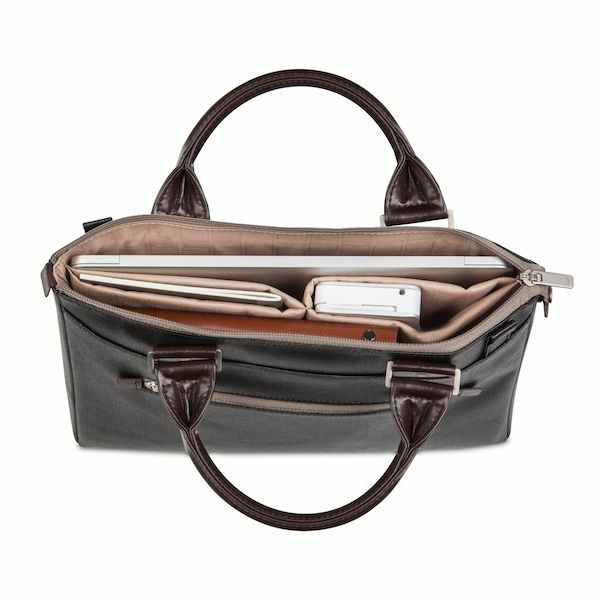 However the Urbana Mini Moshi Laptop bag is both stylish and highly functional. It’s not too big, not too small — the Goldilocks of laptop bags — making it so easy to carry with you when you’re out with the kids. A waterproof exterior keeps your electronics safe if you get caught in rain or snow, and three zippered compartments inside fit a phone as big as an iPhone 6+, as well as a tablet, iPad, or 12-inch computer. Not that I’d want to lug around all of them at once. There’s also room for the other stuff you need, from a wallet and lipstick to those Skylander figurines that keep the kids busy at the coffee shop. Related: The coolest tech accessories and stylish gadget cases of 2014. I really like that this Moshi laptop bag looks just like a regular handbag and not something you borrowed from the IT department. 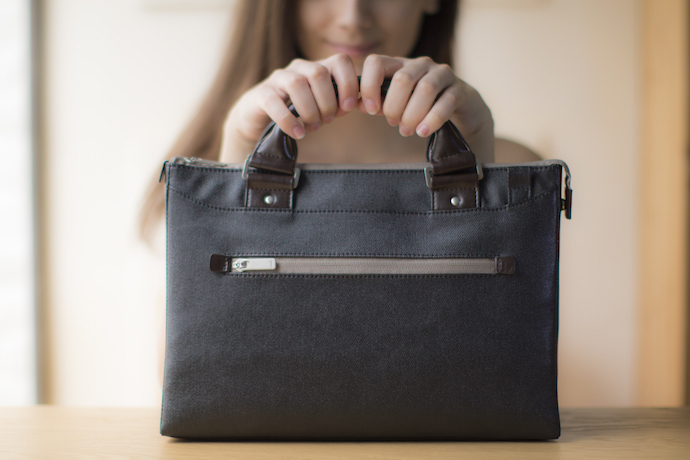 Plus the cross body strap is removable, so you can carry it hands-free when your kids are with you or you don’t have a whole laptop weighing it down when you’re out and about. I do hear that still happens once in a while these days. You can find the Urbana Mini Moshi Laptop bag at the Moshi website. 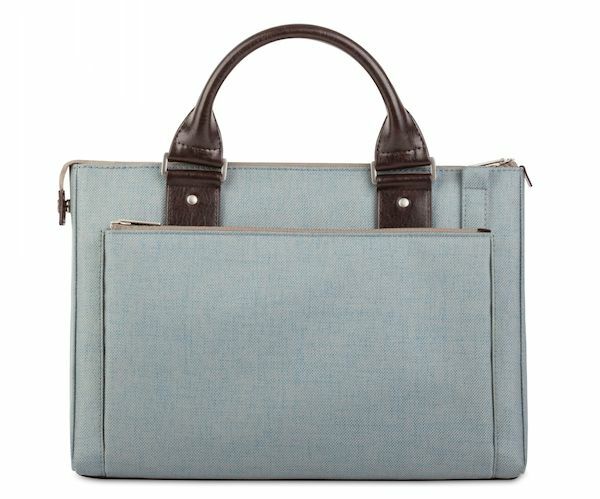 If you have a full-size laptop, you can size up to Moshi’s Urbana briefcase and get the same style on a bigger scale. Thanks to the company for sending CMT a bag for review.